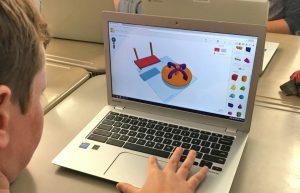 Sue Cusack and Jacy Edelman, Director and Assistant Director for the Lesley STEAM Learning lab, were featured in a live webinar supporting the creative integration of Tinkercad into Project Based Learning. Led by Kellyanne Mahoney, Youth Program Specialist at Autodesk, and joined by Lindsey Tosches and Matt Burch, partner teachers at the Kennedy School in Somerville, the webinar framed how Project Based Learning can work hand-in-hand with Universal Design for Learning frameworks to meet the needs of diverse learners. Click here to watch the recorded webinar!